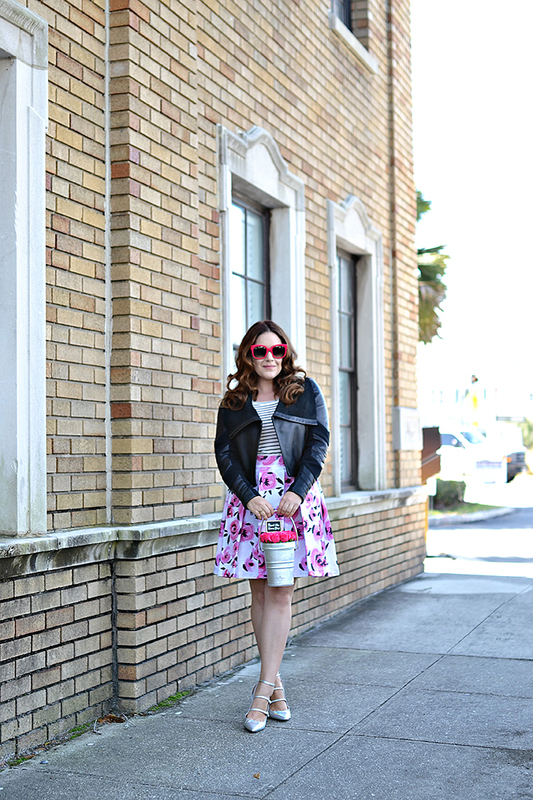 I am so excited to share this outfit because it features my very first sewing success - this rose print box-pleated skirt! 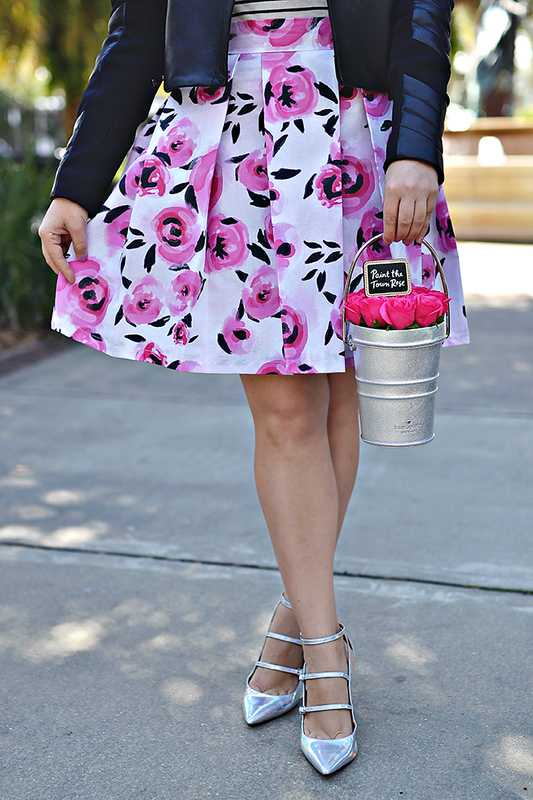 I basically fell head over heels for all of Kate Spade's most recent release, but I especially loved the abstract rose print. So I decided to make something similar! Once I digitally painted the roses, I created a repeating pattern and uploaded it to Spoonflower. They printed my custom fabric and when it arrived, I immediately got to work. After watching tons of Youtube tutorials on pleating and skirt pattern making, I settled on a simple, large box pleat design. This skirt was surprisingly easy to make, and despite my first try coming out way to small (measuring is hard), my second skirt was close to perfection! I think I am officially addicted. With the ability to design your own fabric and my new found sewing skills, the sky is the limit! Next I will be tackling a cropped, short-sleeve top and matching full skirt. The good news is that Spoonflower allows you to publish and sell your fabric designs. So if you're interested, you can purchase this fabric here! So what do you guys think? I have to admit, I am pretty proud of myself!